Wanting to purchase a new car without breaking the bank? Visit Wabash Valley Dodge during the Dodge Performance Days Sales Event! Save thousands when purchasing the all-new 2019 Dodge Caravan! Start your spring break off on the right foot and purchase your dream family-friendly vehicle. 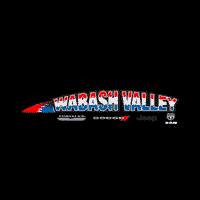 See what else Wabash Valley Dodge has to offer during Dodge Performance Days, visit our dealership today! Serving Peru, Indiana.